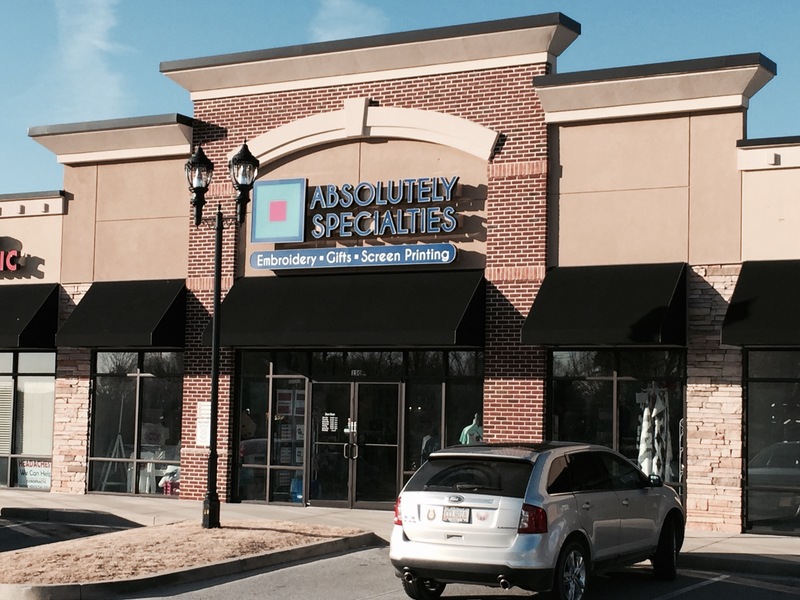 Established in 1994, Absolutely Specialties is a locally owned and operated custom apparel and gift store. Located on Sugarloaf Parkway, between Scenic Highway and Five Forks Trickum Road, this 'store with it all' resides in the Bellbrooke Station Shopping Center. Some of our featured items offered here are corporate apparel and promotional products, handbags, gifts for him, linens, seasonal gifts, local team and school Spirit wear, baby & children gifts, glassware, and tons more. We are proud to offer on-site embroidery and monogramming services, engraving, vinyl production, screen printing and direct garment printing. You can have almost any item you purchase here customized or bring in your own items! Stop by or call us today!! !